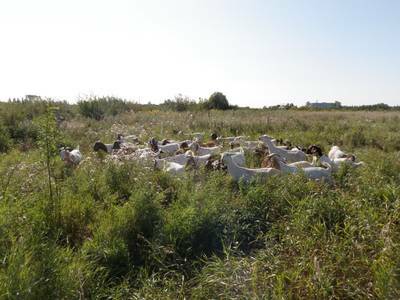 On August 17th to August 20th, 2012, a herd of 40 goats was brought in to the Habitat Conservation Area to help control caragana in an eco-friendly manner. 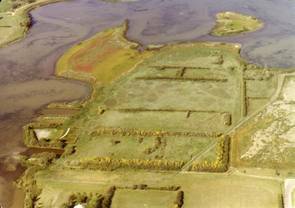 Over the last four decades the caragana has expanded dramatically in the Habitat Conservation Area into the grassland ecosystem around it. 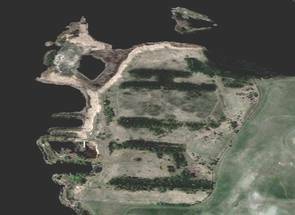 The two photos below illustrate how the caragana has spread since the 1970s to 2006. 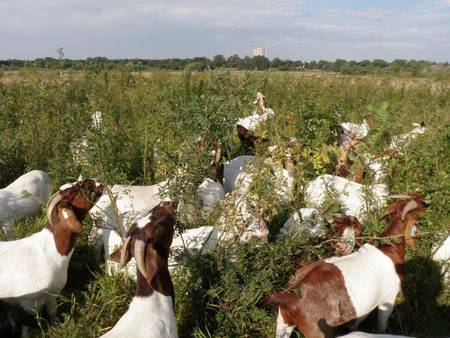 The goats proved over the course of the four days of grazing that they were very effective at targeting caragana and are a useful tool to manage this shrub in the Habitat Conservation Area. 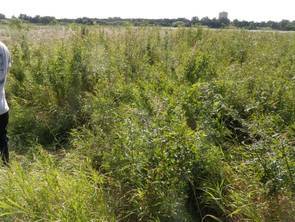 The photos below show the before and after grazing of the same spot in the Habitat Conservation Area. 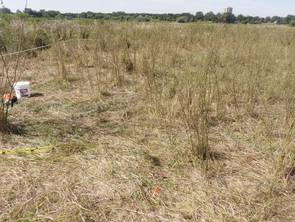 Due to the success of this project in 2012, the goat herd will be brought back to the Habitat Conservation Area on an ongoing basis. Come visit the HCA to see how the goats have positively impacted this area! Check out the self-guided tour of the HCA.